Anniversary celebrations, be they in acknowledgement of decades of marriage, birthdays, or business longevity deserve a grand recognition worthy of the scope of your life that they represent. Mark these achievements in a way befitting their significance–choose Pleasantdale Chateau to graciously assist you in hosting a grand celebration. Tasteful, exquisite, and perfected from beginning to end, our events impress your guests and truly acknowledge and celebrate you. More than simply the sublime setting, our five-star service and exemplary cuisine make for a milestone marked with wonder. 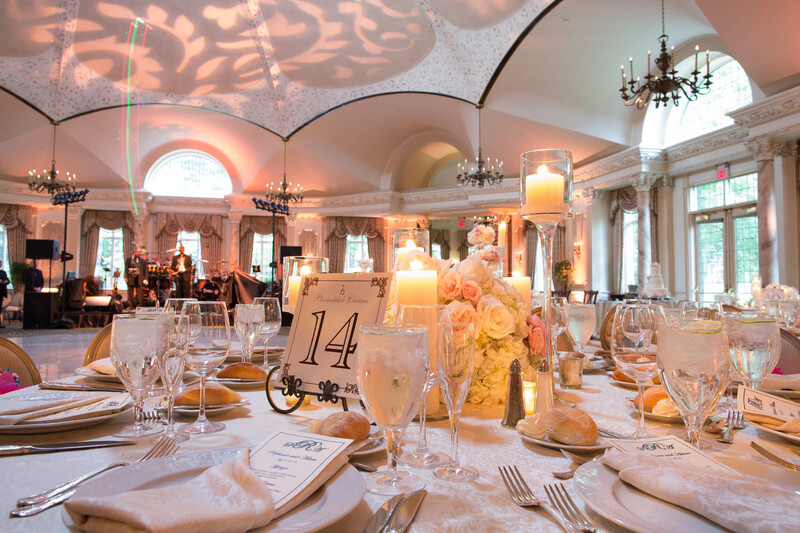 Allow our experienced planners to ensure a successful, memorable event that truly honors you and your anniversary. Your guests visiting from afar can also enjoy the convenience of Pleasantdale Chateau’s on-site overnight accommodations. They are certain to be impressed with our personal service, deluxe guest rooms and amenities. To arrange for a private tour or more information about hosting your anniversary celebration on our estate, please contact us at 973-731-5600.